A watch that a man wears is an insight to their personal style that day. A stunning watch is a perfect accessory can spruce up any ordinary outfit. 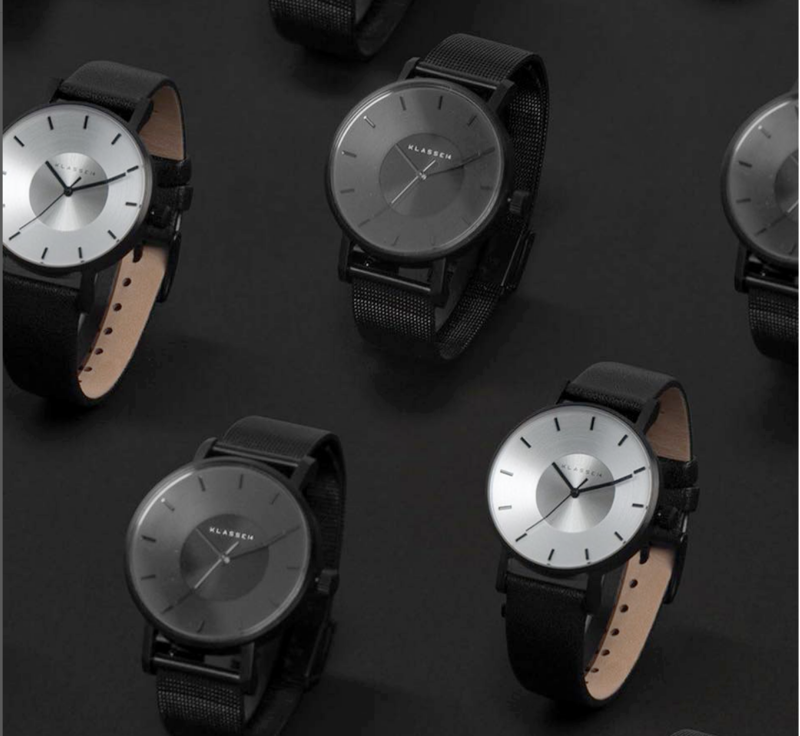 KLASSE14 is a unisex watch company that exudes personal style, providing men an avenue to express yourself. The watches span from classics silver, gold, and black leather band to artsy rainbow and white rose. Included in our Fall Guide, we love the VOLARE RAINBOW which is unorthodox yet spectacular. The motto behind the brand is to incorporate the latest trends while still maintaining who they are as a company. The watches have a signature patented conic shape and angled time hands in order to block that annoying glare that comes up way too often. We wanted to learn more about the brand, so we asked creative director Mario Nobile a few questions to gain a bigger insight into the brand. Nobile is quoted that he "Strives to inspire a new generation of creative personalities, lovers and unique thinkers." 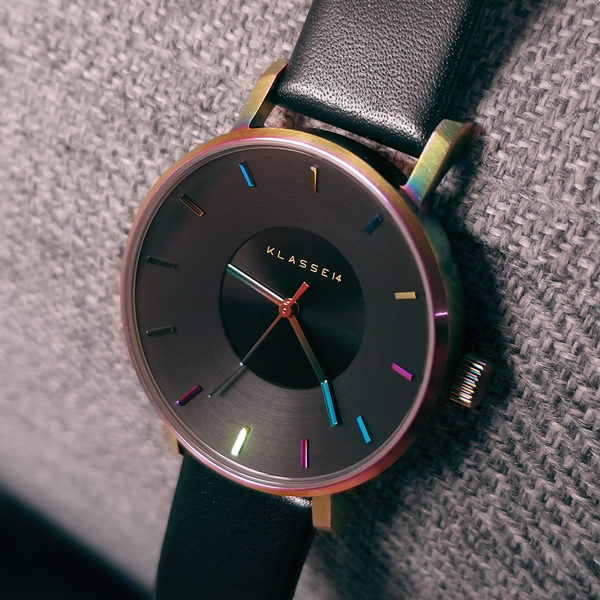 Watch brands are not created equal and Klasse14 rises above the clutter. Read below to find out how the brand started, what truly makes it unique, and their future plans for global expansion. Tell us about how the concept of the brand started. Back in 2013 I felt the need to create something new, something different! Coming from a past of fashion, I still wanted to create a novelty that could connect with the latest trends and most up and coming movements.While I was searching for the perfect accessory to represent the brand, my attention got caught by some of the fashion watches already present on the market and I thought that a watch could be a fine start for my adventure, as what I had in mind was quite different from all the timepieces available at that time! That watch had to break the mold and be not only different in design, but also have a different character and attitude, something that would be the first choice for a young generation of free thinkers and trend setters. And here is how we start to stack up the first bricks of Klasse14. 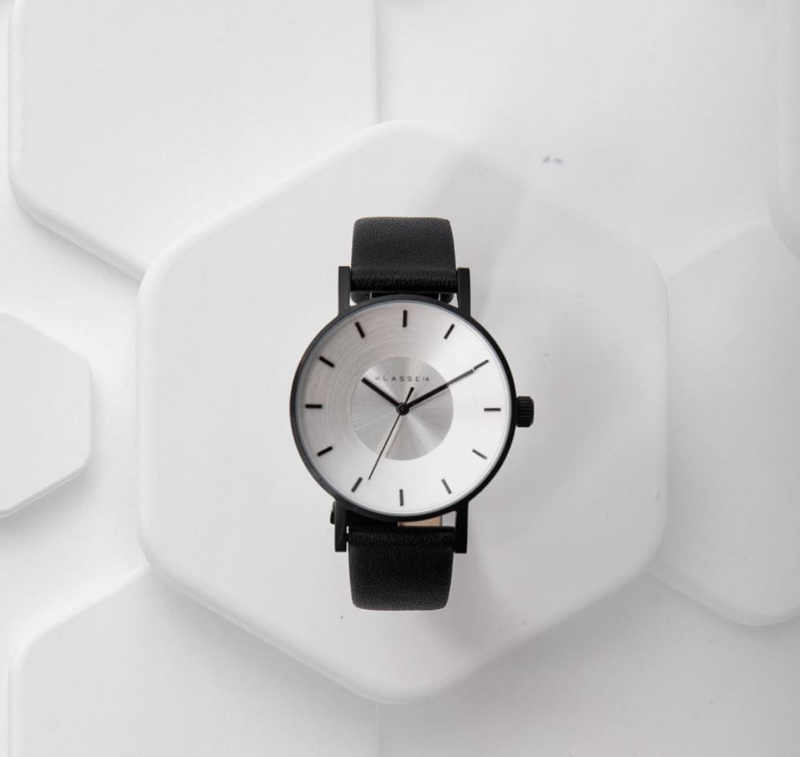 The watch I had in mind had to be bold, different yet simple, sophisticated yet easy to wear and cool to look at. Had to have a story behind that could give this timepiece an identity to be reckon with, but overall be surrounded by an halo of fashion. And this how I came up with the first Klasse14 watch: The Volare is still today our most iconic and popular watch. There's also a very significant event that happened about three ago. Our watches often comes in 2 sizes, to promote the couple watch idea, and therefore I asked one of my colleagues to take a picture of me and my friend holding hands, both wearing the same watch but in two different sizes. Once published, that picture became viral straight away and people buying our couple watches started to emulate that same image on the social medias. From the various messages left below the images posted, we then found out that our products were often bought to celebrate important events, such as birthdays, anniversary and even wedding! These succession of events made us very happy and incredibly proud. Here the need to create also an emotional emblem for Klasse14, the holding hands logo. That same logo commemorate for us unity, love and Sharing Happiness. What distinguishes your watches from other similar lines? We believe in delivering happiness and creating unforgettable memories. Not only do we want you to express your individuality, we want you to share that with those around you. Creating outstanding fashion forward pieces that reflect high-quality products of an alternative luxury that empower, signify and encourage special moments between one another. At KLASSE14, we encourage the sharing of happiness during any time of the year. Our range of products have the right essences and qualities to honor all your unique moments. We treasure all the moments you share by encouraging the gesture of gifting. This is what sets us apart from other brands in the market. One watch from your collection that every man should own? We believe the Volare Dark and Volare Black are definitely must have. Have you had any celebrities wear your line? We have not had any celebrities wear Klasse14 in the American market, we primarily have more of an audience in the Asian market. As of recently we have finally expanded our brand into the USA and are excited for that. You're a powerhouse in Switzerland with 14 stores carrying various watches, do you plan on opening a physical shop anywhere else in the world? 14 stores is a stock list whom carry our brand. We have one Concept Store in Hong Kong which you can look at here. We love your Rainbow collection and how you have so many colors blended together. Can you expand on how you thought about it and the technology behind it? The Volare Rainbow was launched back in 2016 and since then it had a huge success and is now Klasse14's most iconic Volare. The idea of having this very distinguishing plating color it was to incorporate a big dose of happiness but also the cool effect into the watch. This specific metal coating is commonly known as Rainbow titanium plating, here the idea of calling this specific model 'Rainbow" but also because of the very cool colors displayed by this watch. Technically known as TiO ( Titanium (II) Oxide), anodizing titanium generates an array of different colors without dyes, for which it is sometimes used in art, costume jewelry and body piercing jewelry. The color formed is dependent on the thickness of the oxide (which is determined by the anodizing voltage); it is caused by the interference of light reflecting off the oxide surface with light traveling through it and reflecting off the underlying metal surface. What does your tagline #ordinaryunique mean to you? Being bold, different yet simple, sophisticated yet easy to wear and cool to look at. To become a global brand. Pictured provided by Klasse14 & Seventh House PR.